BUCYRUS — A Galion man may be spared prison time on a burglary charge based on the details of the crime. Robert Poulson, 64, 635 Crew Ave., pleaded guilty this week in Crawford County Common Pleas Court to one count of burglary, a fourth-degree felony. He could have been charged with a second-degree felony with a much harsher sentence of eight years in prison, but due to the circumstances of his crime, prosecutors opted to offer him a sentence of one year of community control. 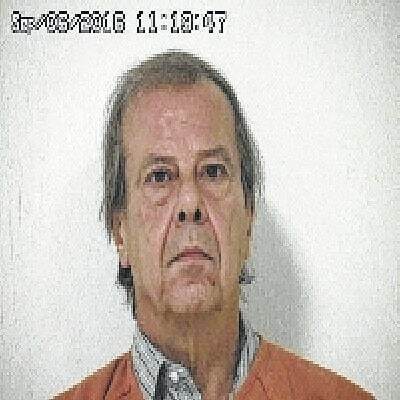 Poulson was arrested by Galion Police on Aug. 25 after a resident in the 600 block of South Boston Street reported a man was in the downstairs area of the residence in his underwear. Poulson was arrested for disorderly conduct by intoxication and burglary. Judge Sean Leuthold ordered a pre-sentence investigation after say it appears that Poulson went into the wrong house while he was intoxicated. He will be sentenced at a later date. A Bucyrus man admitted to violating the terms of his community control after he was found unresponsive on Sept. 25 and was revived with the drug Narcan that reverses the effects of opiates. Jason Gernert, 33, admits to using heroin, failing to comply with the court’s Intensive Supervision and Treatment program and to being in possession of drug paraphernalia. Gernert was placed on probation in June after pleading guilty to one count of possession of drugs, a fifth-degree felony. Leuthold sentenced Gernert to one year in prison. Gernert may be eligible for in-patient treatment at a drug rehabilitation center at a later date.